Smart devices are the drivers of innovation in future laboratories. 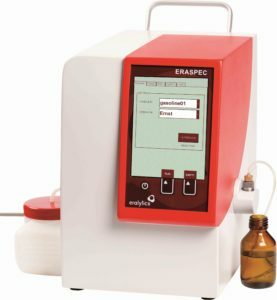 WILD has already implemented numerous types of laboratory devices, which are becoming increasingly automated. A major development leap is currently imminent for a large number of laboratories as a result of the increasing complexity of the laboratory processes and the rise in regulatory requirements. The first logical step in this context is to raise the level of Automation. 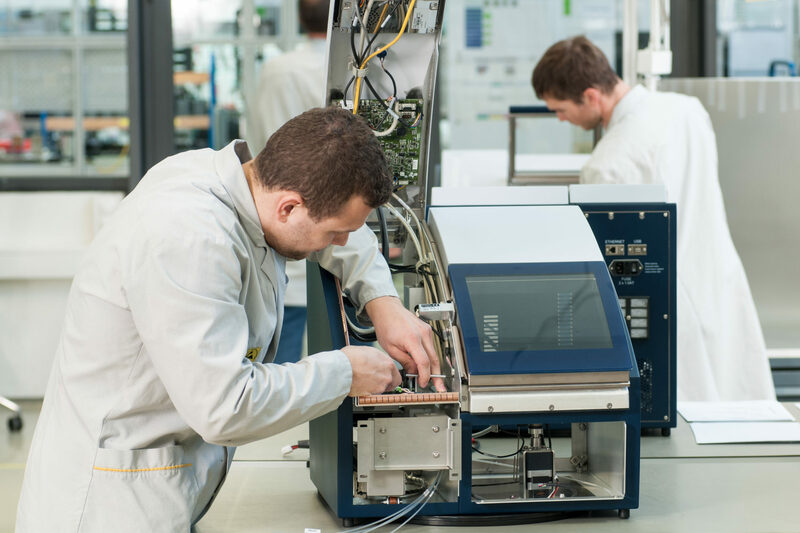 WILD has already implemented a wide variety of modules and devices for quality monitoring in food, pharmaceutical and industrial production, and has focused its attention on the development and production of complex types of laboratory devices. WILD manufactures, among others, mass spectroscopy assemblies and complete devices used in material Analysis. These special assemblies are manufactured in high-precision mechanical processes and must comply with the most stringent cleanliness standards. In order to ensure the highest level of cleanliness in terms of film and particulate purity, WILD has put special cleanliness processes in place. These are applied, for instance, in the production of microscopes or components for mass spectrometers where the individual parts must undergo a multi-stage cleaning process. Assembly is carried out under ISO 6 and ISO 5 cleanroom conditions in the flow boxes. However, not all laboratory equipment requires such high cleanliness standards. Some of them can be assembled in flow boxes in a standard assembly environment. For instance, FTIR spectrometers used in the analysis of fuels, laser refractometers or special microscopes for the semiconductor market are completely sourced, produced, tested and shipped by WILD. The main objective with these types of devices is to focus on the respective key technology and develop efficient solutions for the production workflow.